Online colleges are more flexible than attending brick and mortar institutions, so you can continue working while you complete your degree. It is also possible for you to graduate with a retail management degree in as little as two years. If these reasons pique your interest, here are some other reasons why you should consider attending an online retail management degree program. Many colleges charge less per credit hour for online classes because they are cheaper to administer. Online students also may not have to pay all the fees that traditional students must pay. Online colleges are also more flexible. When you attend school on campus, you will have to attend classes when they are scheduled. Some online degree programs feature asynchronous online classrooms, which allow you to log in whenever you can. This helps you to continue working part- or full-time while you complete your degree. Attending an online program in retail management also lets you choose the learning environment that fits you the best. If you attend school at a traditional university or college, you will be limited to attending physical classrooms while you are surrounded by other students. This doesn’t work well for all students, however. Some students do better when they are able to work on the material on their own without being distracted by other students. When you attend school online, you can attend your classes from wherever you might prefer as long as you have Wi-Fi access. You might choose to attend your online classes in a quiet place such as a library or to simply log into your classes from the couch in your living room, for example. Retail management degrees prepare people for a variety of different careers within the retail and sales industries. With a degree in retail management, you might be prepared to work as a buyer, retail store manager, product developer, or a first-line supervisor of retail salespeople. You can also decide whether to pursue your associate’s or bachelor’s degree online in retail management. An associate degree takes just two years and can prepare you for a move into management. If you choose to complete your bachelor’s degree in retail management online, you may be able to secure employment such as managing a big box store that carries an even better salary. Getting a degree in retail management can equip you with the strong decision-making skills that are desired by many different companies. A retail management program will teach you a diverse set of skills, including how to set up an effective layout for a store, how to train and supervise employees, how to engage in direct marketing campaigns, how to manage inventory, and how to serve as a strong leader for the workers whom you will supervise. Getting a degree in retail management should prepare you for an excellent career. CareerBuilder reports that many retail managers choose to stay in their positions for years because of the good pay and benefits that these jobs offer. In order to start your online retail management degree, you should start by researching different programs. You should make certain to check the accreditation of each program that you consider. You can check your potential school’s accreditation online at the U.S. Department of Education’s website. Choosing a program that is accredited is important so your degree will be taken seriously by your future employers. Accreditation is also necessary for you to secure certain types of financial aid. You should also compare the costs of different programs that you consider. Once you have chosen a program, you will need to complete the school’s application for its online retail management program and fill out the Free Application for Federal Student Aid if you will need help to pay for school. Depending on the school, you might also need to take a college entrance exam and have your scores sent to the school such as the ACT or SAT. Once you have submitted all the required materials, you will be notified within the online college’s timeframe. Completing your online retail management degree can help you to further your career in the retail industry. Having a degree can make you a more attractive candidate for a variety of higher-paying jobs. 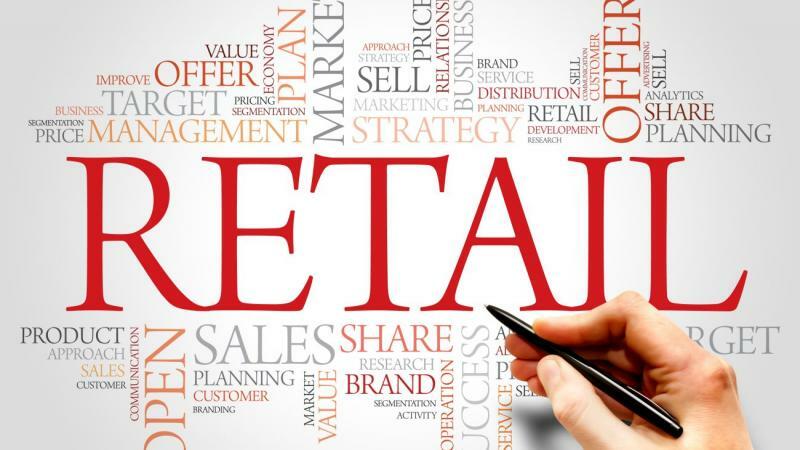 To learn more about different retail management degree programs that are available online, you should conduct your own research so that you can find the school that might fit your needs the best.